Did I say all in that quote? No. I said some. Some of them are. The matter may be debatable with some artists. But NASA's images are not debatable. NASA depicts all the stars in those patches as christian crosses. Your basis for believing that they did this is picking out things and random objects and saying "that looks like a crucifix". FE'ers don't do experiments. It costs too much. Does anyone know why stars are depicted with this cross shape? I do. 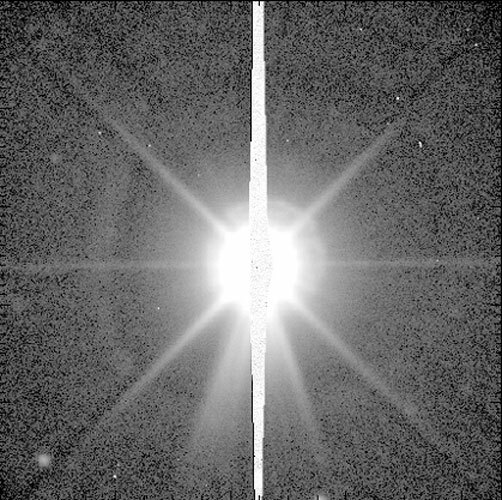 Bright stars seen on astronomical photographs often display this cross effect caused by diffraction around the four mirror supports in certain types of reflecting telescope. The crossbeams are an artefact of the telescope design and are not seen when stars are viewed with the naked eye. 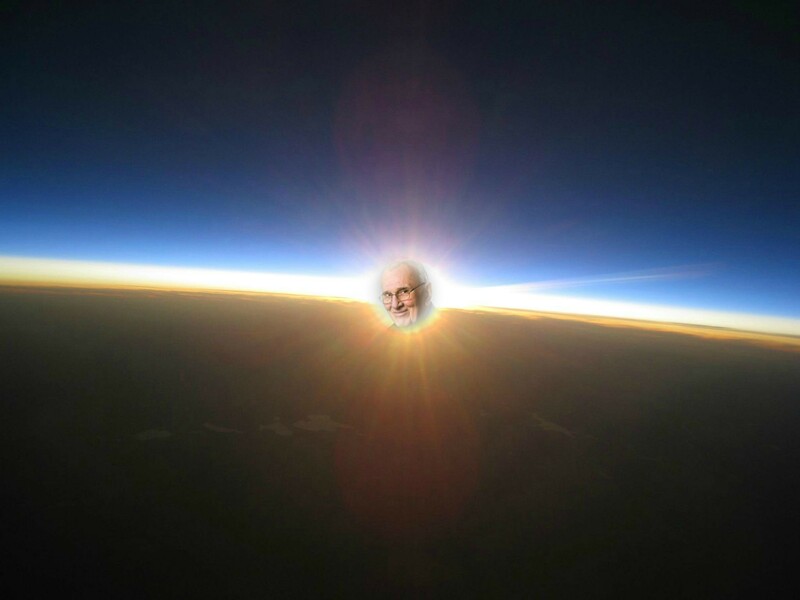 Watermelon, Rhubarb Rhubarb, no one believes the Earth is Flat, Peas and Carrots, walla. I'm not picking out a random object, or a random occurrence. NASA has the stars depicted as crosses in renderings by different artists. NASA has multiple patches with christian crosses as stars. This is not how stars are traditionally depicted. This is leagues more intentional than your "t's are crosses" argument (which they probably are, by the way). I'm not picking out a random object, or a random occurrence, NASA has the stars depicted as crosses in renderings by different artists. You know that "do you want to review your post because someone else just posted" message? You really ought to heed it. As best a star might look like a plus sign, not a crucifix. NASA depicted the stars as crucifixes. It's not by accident. Stars can appear with many points. NASA chose to depict it as a crucifix. It's incredibly clear. The image depicts an american flags, an eagle and christian crosses. It's absolutely not a "coincidence" or an "accident." Did I say all in that quote? No. I said some. Some of them are. "You would have to be pretty naive if you paint a star looking like a crucifix and don't know what it is or what you're doing. At least some of these artists are trying to be ambiguous about it." If one would have to be pretty naive to paint a star looking like a crucifix unintentionally, then there are only two possibilities for all such paintings: a) the painter is pretty naive; or b) the painter did it intentionally. So tell me, how many of them are pretty naive and how many are deliberate? Even if you claim it's a 50/50 split, the odds are extremely low for either side. If the meaning of a vague crucifix-esque shape is as "obvious" as you claim, then what are the odds of half of these millions of painters stumbling into it by accident? And what are odds of half of all those painters of stars legitimately doing so for religious purposes? Look at the eagle image above. An american flag, a happy eagle, and two giant christian crosses. They're obviously meant to be crosses. You don't think mission patches are made with symbolism in mind? 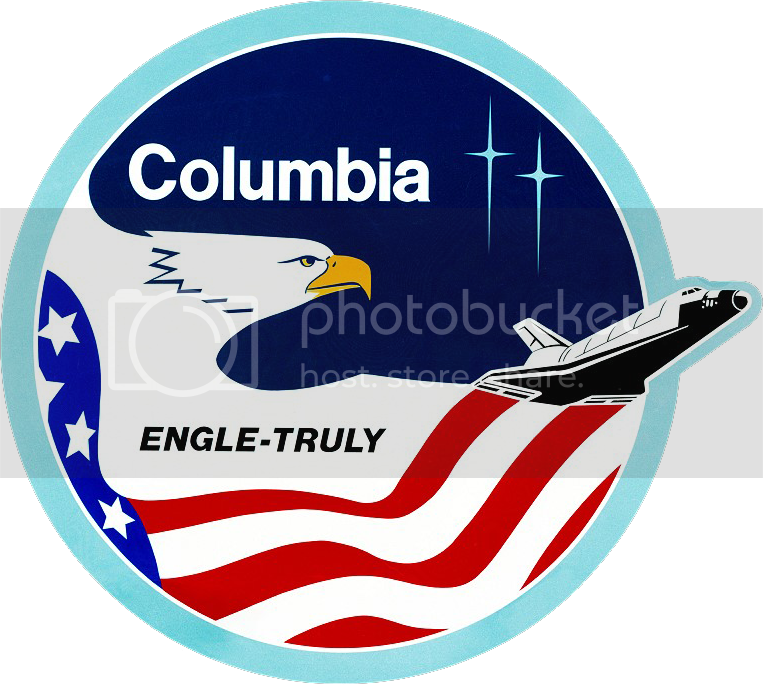 The eagle, the flag trailing the shuttle are all meant to be symbolic. The stars are clearly meant to be symbolic as well. NASA isn't designing random mission patches here. They are heavily using symbolism to send a message. So you're saying "+" as "†" could not be by accident? Not published on multiple mission patches by multiple different artist, with each star in the scene appearing in a crucifix shape and no other. The matter is clearly intentional. Please cease your lame arguments. Any child of five knows that those are crosses next to the eagle. You don't think mission patches are made with symbolism in mind? The eagle, the flag trailing the shuttle are all meant to be symbolic. The stars are clearly meant to be symbolic as well. Why must the stars symbolize anything more than the fact that the eagle is reaching toward them? How did you arrive at that conclusion that the shape of the stars is symbolic? Why not the shape of the eagle's feathers which seem to form a sideways letter M? Why not the shades of blue used in the outline and background? Why not the angle the shuttle is facing? Why not the amount of stripes visible in the flag? Nobody has denied that the patches are symbolic. You ignored everything in the post you replied to. Let me try again: If the meaning of a vague crucifix-esque shape is as "obvious" as you claim, then what are the odds of half of these millions of painters stumbling into it by accident? And what are odds of half of all those painters of stars legitimately doing so for religious purposes? If a painter made all of his stars as big christian crucifixes then he's clearly and obviously trying to portray christian symbolism. If a painter accidentally makes one of his stars look like a crucifix then the causality is not so clear. NASA falls into the former, not the later. Multiple NASA artists have portrayed stars as crucifixes, not just one star in a scene, but all of them, on multiple patches. The matter is absolutely intentional. Do you think that no one at NASA reviews the patches or knows what a cross is? Anyone can see that the eagle patch is meant to be christian. Why you are arguing against something so blatantly obvious is beyond me. This is a form of circular reasoning. You have decided that the star rendering in the first patch was intended to be a crucifix, and since the subsequent patches use the same art style you conclude that they must all be crucifixes. The reason they are drawn the same across patches is the same reason why everything else in the patches are drawn the same. It's for the sake of consistency. You still need to demonstrate that the star was drawn that way with the intention of being a crucifix in the first place. You haven't done that. All you've offered is an embarrassing display of apophenia. First of all, you're right. 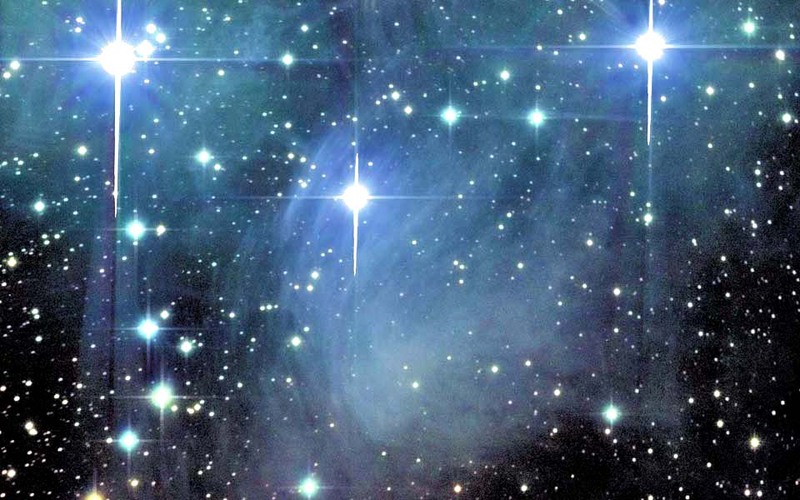 Stars can be depicted with pretty much any number of points. So what's wrong with depicting a star with 4 points? Secondly, NASA does not design the mission patches. As it turns out, each crew designs the patch for their mission. Patch design is one of the miscellaneous duties of a flight crew. It has become obligatory for each crew to create a patch for their mission. Sometimes the crew commander takes an active role in the design; in other cases the commander may delegate the duty of coming up with a design to one of the crewmembers. The commander always has final say on the design, of course. Are you genuinely ignorant or just pretending? Oh look. Much longer on one axis than the other. Just like Tom says doesn't happen. This effect is quite common, incidentally. It's not just a 4 pointed star. It's a crucifix. Last I checked the crew was employed by NASA. Only one of those stars looks anything like a crucifix. Pointing out abnormal stars does not demonstrate that all stars look like crucifix's. They don't. That's not a crucifix. it has 8 points on it and doesn't look like a t.
No Tom, this is a crucifix. A crucifix (from Latin cruci fixus meaning "(one) fixed to a cross") is an independent image of Jesus on the cross with a representation of Jesus' body, referred to in English as the corpus (Latin for "body"), as distinct from a cross with no body. Last I checked, the crew does not work for NASA's art department. 1. a cross with the figure of Jesus crucified upon it. Yes, and for each of the images with more than 4 points, 4 of them are more obvious than the others, and of those 4, two of them opposite each other are brighter than the rest. Dial the brightness down a little and you have an image that looks very like a crucifix. Hell, I have some drawings I did in the 1980's that have stars on them and I too drew them with 4 points, and the lower point is longer than the rest. And I did that because it looks artistically balanced, not because they are meant to be crucifixes. What evidence do you have to support your outlandish claim? No, it is not clearly intentional. 1) If you're going to make a claim, then you get the task of documenting your effort to support it. 2) So? Because a symbol matches what you think is a crucifix, there is no reason to conclude that it is. This is a fine example of confirmation bias on your part. You fail, yet again. 3) No. You can't decide intent based on statistics. That would be an 'ad populum' fallacy. You do seem to make that error all too often. I wonder if any of the conspiracy theorists have ever considered the possibility that NASA patches have 4 point stars is because they are easier to draw and reproduce (especially for sewn patches) than 5 or more point stars. Who ever said that all stars do? Stop intentionally missing the point, please. Okay Tom, let's get right to the bottom of this. Who ordered the stars to be drawn as crucifixes? Were the artists aware of what they were drawing, or is this yet another secretive initiative that only a few higher-ups know the true details of? Please spell out for us exactly what it is that you're claiming happened back at NASA. So... what you're saying is even 'x' and '+' on a NASA patch would be religious symbols, right? 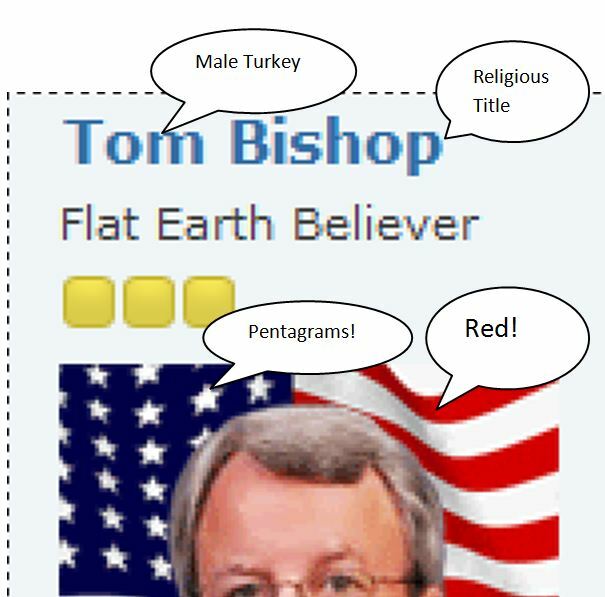 Also, I enjoyed playing this game... Clearly Tom, you're religious (Bishop), devil worshiper (pentagrams), in league with the Devil (red), and a turkey (tom). By your logic, your intent is clear. You want all of us to know that you're a turkey! Let's see just how deep Tom's psychotic apophenia runs. Tom, just how much of the post you linked to do you agree with? Are you afraid of all five-pointed stars too? How about chevrons? The shape of the ISS? Phallic rockets? Goatees? Here's a much more reputable alternative. All I see here is an effective search function. You look up "paradoxal" and you get directed to "paradox". Or did you not bother to look at the page beyond its URL and title? Notice that the pronunciation key next to the title even says [par-uh-doks]. The only words defined on that page are paradox and paradoxical. The only link to the rare spelling is "Sometimes, par·a·dox·al" in the latter definition. I don't see any claim that this is correct. You might as well condemn a dictionary for including slang in its notes. So you're of the opinion that zarg should accept your support, even if it's faulty, because it supports his argument. What a lame criterion!